Even though Windows comes with its own Backup Restore solution, its limited to what it can do, especially at this age of technology. What the current generation needs a smart solution which can not only just take incremental backup but also support online storage solutions, ransomware protection, and so on. Today we are talking about one such Backup-Restore software solution–CloudBerry Backup for Windows Desktop, that offers next-generation features. This professional backup software comes in two versions. First is the free version which comes with most of the PRO version features including flexible scheduled, and retention policies. Second is the Pro version which can be used by the business. It offers image-based backup, compression, and encryption. Like we said earlier, Cloudberry Backup offers multiple cloud storage support. You can choose between Amazon S3, Amazon Glacier, Windows Azure, Rackspace, OpenStack, Google Storage, SoftLayer, and others. Yes, of course, it also supports local storage, and network storage if you do not want to choose cloud-based storage. Apart from the cloud storage backup, it offers smart backup solution depending on the storage location. You can perform a cloud to cloud backup. This means if you have a dropbox and Amazon S3 account, you can copy files from your Amazon backup to Dropbox without downloading. However, if you have not invested in multiple clouds, you can choose to download the cloud backup to your local storage. The local backup could be any location including external storage, network shares, NAS devices, mapped drives, etc. This process can be automated. Cloud storage is costly, and keeping this in mind, the software offers Backup Storage Visualization. This helps you to figure which file is taking a lot of space with helpful charts, with each chart displaying its folder’s portion of the parent folder. On a similar line, Archive mode for Google Cloud, Microsoft Azure, and BackBlaze B2 helps you to reduce the number of requests sent to the storage and also helps reduce storage costs. In this mode, the app will merge your files into a single archive, and then upload. 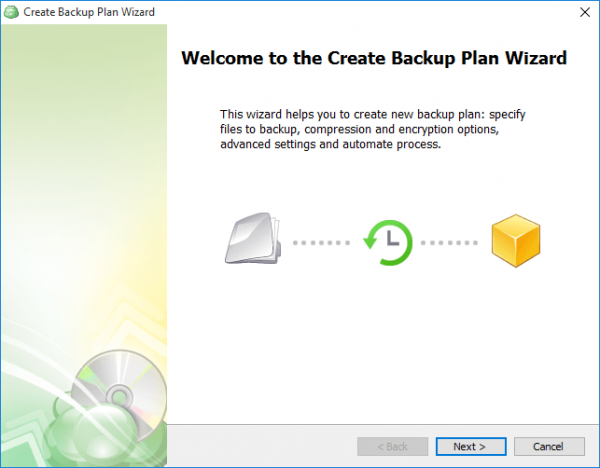 When it comes to VMware, you can perform file level or drive level backup using the Bacup Wizard. Interesting to note, that in case your activation code has expired, you can still recover your files right from the product activation screen. Then comes the Ransomware protection which can detect encryption changes in files and makes sure that the existing backups are not overwritten by those infected files. This gives you a chance to restore those files if they are locked out of your access. Only when the user confirms that there is no issue, backup for those infected files will be taken. All the backups are encrypted with 256-bit AES Encryption on the PC. So any files which are stored on local storage, local network or cloud are encrypted. During the transfer of data from PC to cloud, it uses SSL protocols to keep it safe during transmission. Since the backups are compressed, it makes sure not to take a lot of space on the cloud or local storage. This also helps in aid bandwidth and accelerate backup completion. To further reduce time, and save bandwidth, it performs Block Level Backup which uses only modified or new portions of files to add them to existing online data pool. If you choose, it can also perform Image-Based Backup. Block-level volume snapshots are taken and sent directly to the cloud, allowing dissimilar hardware or virtual machines restore. The backup can be scheduled. You can set up for hourly, daily, weekly, monthly backups with your own choice of timing. Real-Time backup allows to backup files and folders on Windows Server on change or creation. All the backups are checked for consistency. Cloudberry has this feature inbuilt to monitor backup consistency in cloud or local network. Companies or those who know can create a custom solution using Cloudberry backup solution’s command line interface. Admins can create their routine, and integrated it into your workflow. You can also set up a customizable email notification feature to track each run of your backup and restore plans remotely. CloudBerry Backup offers to save deleted file information in the cloud. 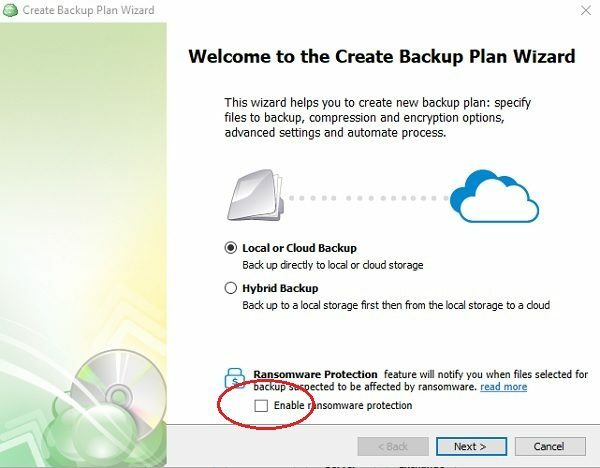 Once you enable Track local file deletes option in backup storage option in the Advanced Options step in the Backup Wizard. From then on, CloudBerry Backup notes these deleted files in the cloud, making it easy to avoid restoring deleted files, regardless of where the restore is running. Lastly, there you can set up the retention policy. This will enable the automated deletion of outdated data from your storage, and choose to keep only actual versions of your backups. Cloudberry comes with a Remote assistant app which is one of its kind remote assistance offered by CloudBerry that allows users to connect to remote computers to perform tasks. The tool is designed to connect two computers in an effortless manner through mutual download. Cloudberry Backup for Desktop works on Windows 10/8/7 and all versions of Windows including Windows Home, Pro, Education, Enterprise and Enterprise LTSB. It will also need Microsoft .NET Framework 4.0 at the minimum. That said, the minimum hardware requirement for the software is 1.4 GHz 64-bit processor, 512 MB RAM, 100 MB minimum disk space, and Gigabit (10/100/1000baseT) Ethernet adapter. The free version doesn’t support Image-Based Backup, Encryption, and Compression. Looking at all the features, it’s impressive to see how many features it packs in. While the free version works without any problem, paying $49.99 for the whole package is a great deal, specially ransomware, an assistant tool it offers in combination.